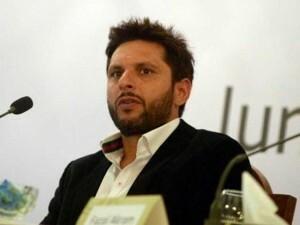 Shahid Afridi is the ex-captain of Pakistani cricket team and he showed his sentiments on the current trends in Pakistan. He tweeted on the social media website, twitter and showed his feelings about the politics it is our duty to enhance respect and honor of country but unfortunately we dishonor our country among other countries of the world. What would other countries think about the politics of our country. He said that we do not respect our institutions especially the judiciary and defame other politicians, which is matter of shame for us as nation. We will have to behave with other in good manner and think about the coming generation. The all rounder said in another tweet and said that it is necessary for all of us to increase its respect. The media should not give coverage to the matters, which show disrespect of other politicians.